is an international non-governmental organization (NGO) that was established to address a neglected global health problem – the ever increasing burden of cancer in developing countries. 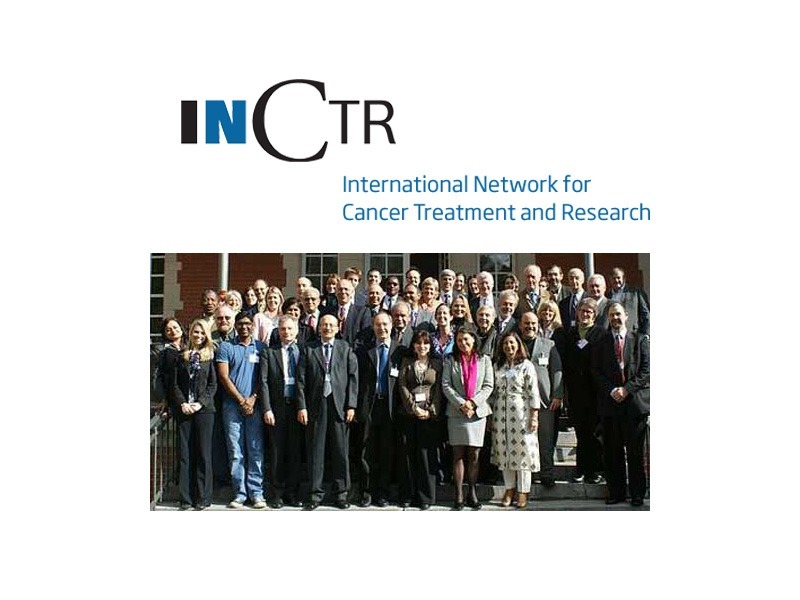 The founder members of INCTR included the former Institut Pasteur in Brussels and the International Union Against Cancer, now known as the Union for International Cancer Control (UICC). The National Cancer Institute in the United States provided financial and technical support and the organization began its activities in 2000. INCTR’s headquarters are located in Brussels and it has branches throughout the world. INCTR became an NGO in Official Relations with the World Health Organization (WHO) in January 2010. INCTR utilizes health care professionals familiar with the problems of developing countries to enable it to achieve its goals. See Box 2. INCTR develops local capacity within these countries by training health care professionals to establish “centres of excellence” in the delivery of feasible, affordable and effective care, including palliative care, that are considered “best practice” so that they, in turn, can train others within their country or region. INCTR works through its branches in implementing various programmes and projects conducted in collaboration with partner institutions in developing countries. INCTR integrates research into its programmes in order that outcomes can be documented and evaluated. This, in turn, enables health care professionals working in less- resourced countries to become active contributors to the knowledge of cancer management throughout the world. INCTR has consultants and volunteers dedicated to the accomplishment of its goals. Although its headquarters are located in Brussels, it has branches in the United States, Canada, Brazil, United Kingdom, France, Egypt and Nepal. Branches are legally established NGOs that contribute to and conduct independant programmes and projects that are relevant to INCTR’s mission. INCTR, in collaboration with INCTR USA, has just established a branch in India. Resource development, administration and programmes are supervised by an Executive Committee or directly by the branches. The Executive Committee is responsible to INCTR’s Governing Council. Programmes and projects involving treatment are developed with the participation, input and advice of various INCTR committees and strategy groups as well as independent scientific advisers. Programmes and projects are conducted in collaboration with partner institutions involved with cancer research, treatment, including palliative care, and education in countries with limited resources. Individuals, institutions or organizations often choose to serve as Associate Members who contribute financially to the work of INCTR. Cervical cancer screening using visual inspection in Nepal and Tanzania. Training of Bolivian health care professionals in cervical cancer screening by Peruvian experts. HPV vaccination of young girls in Nepal. Establishing an East African Registry Network (EARN) that subsequently became the African Cancer Registry Network (AFCRN). As part of the Global Initiative for Cancer Registry Development in LMIC, the Network acts as a consortium to provide a “regional hub” for cancer registries in sub-Saharan Africa. The AFCRN is supporting or assisting the development of 22 cancer registries in the region, including English-and French-speaking countries. Provision of training courses in cancer registration and the use of CanReg 5. Participation in collaborative international research. Visits of INCTR consultants to the Kingdom of Saudi Arabia to review cancer registration procedures and data quality and to Uganda to offer advice on setting up a cancer registry. The treatment and characterization of acute Lymphoblastic Leukemia in children, adolescents and young adults in India – over 450 patients have been treated by four institutions. The treatment and characterization of Burkitt Lymphoma in Africa – over 600 patients have been treated by seven centres in Nigeria, Democratic Republic of Congo, Uganda, Kenya and Tanzania. Survival is greater than 60% at 5 years. Understanding problems faced by parents of children with Retinoblastoma before treatment – 435 parents interviewed from institutions in 10 countries in Latin America, Asia and Africa. Situational analysis of breast cancer – 8,800 medical records of women treated for breast cancer in four institutions in Peru, Egypt, Pakistan and India. Studies carried out in Brazil, India, Pakistan and Turkey to determine delays in diagnosing and treating Nasopharyngeal carcinoma and assess the role of consanguinity and familial history in this cancer. A new initiative to characterize lymphoproliferative diseases in adults in Senegal with Universities in Dakar. Development of a pathological and radiological review for Brazilian patients with Medulloblastoma in partnership with the Brazilian Society of Paediatric Oncology. Accreditation Programme in the conduct of clinical trials in institutions in Brazil. Educating school children about cancer in Nepal. Evidence-based development through preparation of bibliographies of published literature from developing countries relevant to breast cancer and selected cancers in Egypt. Open Educational Resources for Cancer available online. Thematic workshops to discuss challenges in cancer control in East Africa. 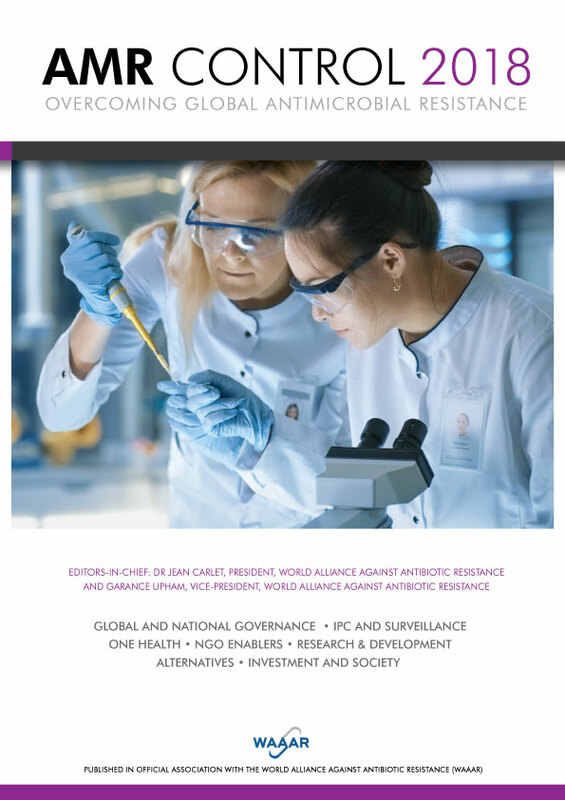 Publication of Cancer Control 2013 with publisher Global Health Dynamics looking at all aspects of cancer policy, prevention, detection, treatment and palliation. Development of a specific curriculum for training and educating nurses in the principles of paediatric oncology nursing for Ethiopia. Training and educating health care professionals – doctors, nurses and social workers in the principles of palliative care – in Brazil, Cameroon, Burkina Faso, Sénégal, Mali, Tanzania, India and Nepal. Sensitization workshops for government officials and the public in Brazil, Tanzania, India and Nepal. Development of a centre of excellence in palliative care for both adults and children in Hyderabad, India. Lobbying governments to improve access to opioids for terminally-ill cancer patients – Nepal and India. Establishment of twinning programmes with hospices in Canada that support palliative care efforts in Nepal. Fostering the establishment of palliative care societies – in Nepal and Pakistan. Promoting paediatric palliative care in Pakistan. Publishing a palliative care handbook describing the management of a wide variety of symptoms in English, Portuguese, French and Turkish. Development of the “Life at Your Doorstep” home care programme offering extensive, 24/7 support for patients and families struggling with advanced and terminal illness in the cities of Hyderabad and Secunderabad. Palliative care workshops and training courses for Francophone sub-Saharan Africa organized by AMCC in partnership with AFSO were held in Uganda and Ivory Coast. Establishment of palliative care centres of reference and training in sub-Saharan Francophone Africa (Mali, Cameroon, Ivory Coast). Canadian branch provides training in India for St Mary Hospital in palliative care and fosters a collaborative approach between palliative care and health care in Nepal. Central pathology review of Burkitt Lymphoma in institutions participating in the treatment protocol for this disease in Africa. Training and education workshops for pathologists and clinicians. Training and education workshops for technicians and pathologists in techniques to improve diagnostic capabilities. Use of iPath – an internet telepathology programme – for consultation, training and education. Provision of training and education of haematopathologists in Francophone African countries (Cameroon, Democratic Republic of Congo, Sénégal). “What can we learn from Africa” pathology workshop held in Mombasa for pathologists from Africa to improve the ability of African haematopathologists to diagnose haematopathologocal neoplasms using the World Health Organization Classification. Setting up of a project to characterize lymphoproliferative disorders in adults in Senegal in partnership with local universities. Programme to improve pathologic and haematologic diagnostics established in Ethiopia using on-site and on-line training. Establishment of centres of reference for the treatment of retinoblastoma – Mali and Democratic Republic of Congo. Mentoring of Indian paediatric oncologists in the development of a common treatment protocol for Wilms Tumour. Conducting workshops and symposia on topics of relevance in developing countries. Promotion of the establishment of paediatric oncology societies – Philippines and Pakistan. Development of a centre of excellence in paediatric oncology at the Santa Marcelina Hospital/TUCCA in São Paulo, Brazil. Conducting a campaign for the early diagnosis of retinoblastoma including, but not limited to, the translation of a film showing a child with early retinoblastoma into 12 languages and distributing the film around the world (Brazil); development and wide dissemination and display of posters (Mexico and Brazil); and establishment of a retinoblastoma day (Turkey and Brazil). Ophthalmology nurses from the Democratic Republic of Congo trained in France to fit prosthetic eyes. Development of an educational programme relating to the psychosocial needs of cancer patients in conjunction with the Brazilian Society of Paediatric Oncology. Organized the 2009 update of the WHO Essential Medicines List for Cancer. Participated in guideline updating and development (cervical cancer, Kaposi sarcoma and referral guidelines for breast and cervical cancer). Consultation with Dr Jean Marie Dangou, Head of AFRO (African Regional Office of WHO) on non-AIDS defining malignancies in HIV positive individuals. INCTR organized an advisory meeting for WHO AFRO relating to AIDS-related but non-AIDS defining cancers in Africa. A report was provided to AFRO. Advising EMRO on a planned high-level meeting in the region late in 2014.